Selectivity and hygiene are key to producing high quality compost for productive mushroom growing. As efficiency in compost production speeds up new problems in production can arise. During the workshop, we will review the developments in production and the care needed to produce high quality compost. 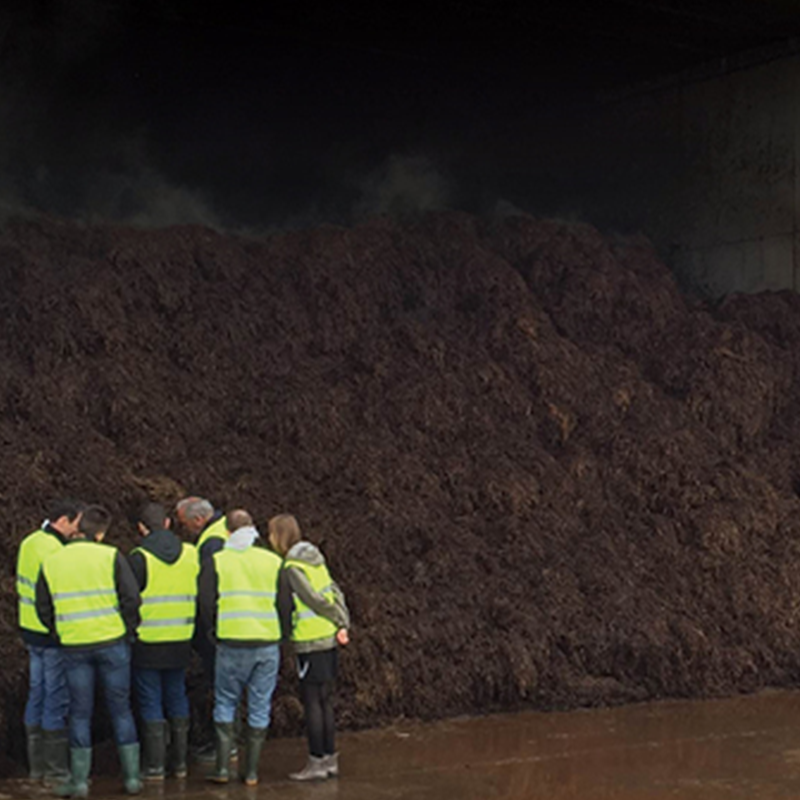 Environmental regulations and the demand for compost in shorter production cycles have added to the need for selectivity and hygiene in production. Since moving indoors, Phase 1 production takes place in bunkers for 5 to 14 days reaching a high temperature of 80 degrees. It is important to monitor the raw materials used as they can affect the time needed for Phase completion. For example, when wheat straw is used the pre-wet needs longer time than when horse manure only is used. Successful compost making is equal parts process of succession and intuitive observation. The control points between Phase 1 and Phase 2 in pre-wetting and bunker fermentation are critical to successful production. Phase 1: Phase 1 pre-wetting requires high quality raw materials and an even mixing process to propel the start of the compost process. It is integral to begin with good moisture content to help the compost temperature rise at the correct speed during the bunker fermentation stage. The correct moisture content will also support the appropriate temperature rise to avoid over aeration. In addition to moisture control, filling bunkers must be monitored to avoid over filling which would result in an irregular process. It is important that enough micro flora is created in the compost. Often, Phase 2 compost is used and mixed in at filling to promote the microbial activity. It is imperative that every system is given the appropriate time needed for its production to result in a high-quality compost. Phase 2: In a controlled environment Phase 2 finishes the processes of Phase 1. Again, filling the tunnels correctly is integral to production and avoids problems. In the past, the industry saw higher Nh3 levels during pasteurisation. With a lower pH, less Nh3 is formed. Throughout Phase 2 strict hygienic rules help you control and avoid infection. In every tunnel facility, you build up a level of possible contamination. The levelling shows how well the Phase 1 was accomplished. Cleaning machine technology has improved which now eliminates left over compost that previously added to the risk of contamination. Traceability is key throughout all stages for the highest quality of production. Copyright © 2019 Sylvan. Sylvan Inc is an affiliate of Snyder Associated Companies Inc..